not sure what they're going for with that Mose Robert release, that house style is not my cup of tea at all. I only listed it because it's on Desert Dwellers' label, but even DD themselves aren't turning out as good of stuff nowadays as their Downtemple Dub series was imo. it's great to see a new chill album from Ocelot.. his "One" album from 2009 is one of my favorites. this new one's sounding good but maybe not as good as One. that Jackin' Brothers release is unique and refreshing stuff, anything that Spectrum Vision is a part of is high quality. 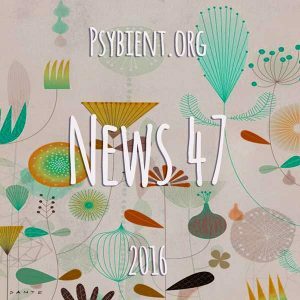 PsycloScope is pretty good chill psybass, and I know it says it released in Feb 2015 but this was just added to bandcamp a couple days ago so I'm treating it as a new release. Digitalis - Collected Vinyl Breaks: Well, didn't know Seb was into breaks some years ago! loved breaks myself back in the days. I hadn't listened to this release before listing it, I just assumed it was similar to the psydub style of his Gnomes Of Kush project so that's what I listed it as. After hearing it though I see why he chose this different alias because it's a completely different sound from his Gnomes Of Kush project, and so I changed its genre to ambient. Also I'm just now finding out about this Crime League label (thanks to Trala Lama for posting that in the now listening thread). absolutely, that new one by the gnome is something really different, and that's why i like it. forgot to mention that Merkaba - Divine Mother Tree Remixes came out this past week but I didn't list it considering it is too uptempo. also the 2016 release table just reached 1,091 releases which surpasses 2015's record of 1,080 listed releases, and with more than a month of 2016 remaining, we might break 1,200 this year. so much new music every year.... one can ask questions about that like is that too much (getting off topic here, i know)? 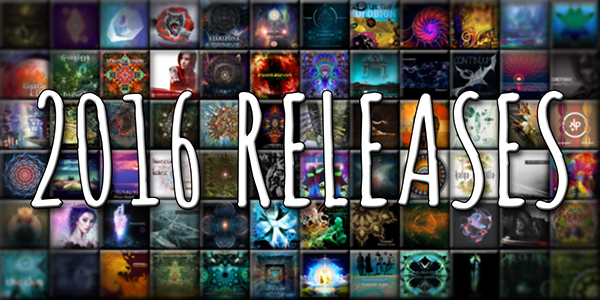 So something like 400 psybient releases might be too much for one person to listen to but I think it's encouraging to see many artists keeping the psychedelic spirit alive.. it's not like there's a lot of money to be made making downtempo psy so the majority of these were made out of love for the art. In fact one could argue that we're going through a kind of digital renaissance 2.0 right now.